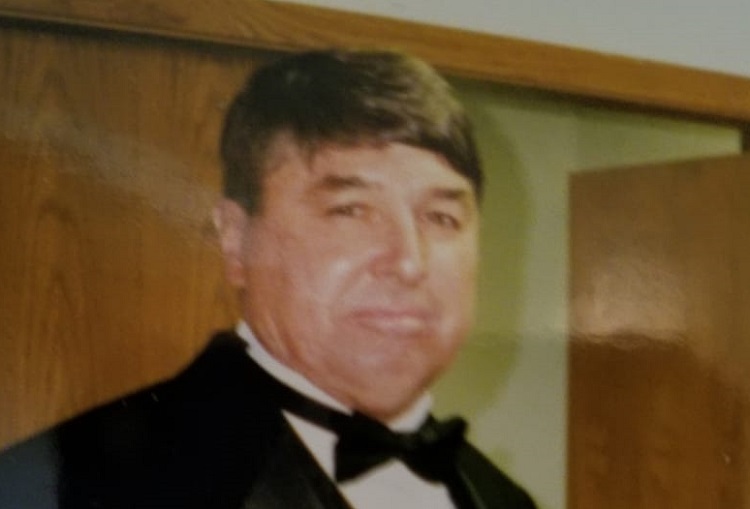 David Roberts, 83, of Jefferson and formerly of Rippey passed away Monday, April 15, 2019, at the Gardens Assisted Living in Jefferson, Iowa. Funeral services will be held Tuesday, April 23 at 12 p.m. at the Carris Family Funeral Home and Cremation Care in Perry. Visitation will be Monday, April 22 from 5-7 p.m. at the funeral home. Burial will be in the Iowa Veterans Cemetery at Adel on Tuesday, April 23 at 2 p.m.
Memorials will be given to family and may be left at the Carris Family Funeral Home and Cremation Care. Online condolences may be sent at www.carrisfuneralhome.com. David Edward Roberts was born Oct. 15, 1935, at Cabool, Mo., to Willard Allen and Grace Mae (Browne) Roberts. He attended the Elk Creek School in Elk Creek, Mo. David was united in marriage to Marilyn Joan Gliem in Perry June 17, 1956. He served in the U.S. Army for 21 years. During his time in service, he was part of the Big Red One and received two Bronze Stars and various other medals. After retiring from the U.S. Army, David worked for the U.S. Post Office for 18 years in Perry and Rippey. He enjoyed coin collecting, putting puzzles together, learning history, watching the Green Bay Packers and the St. Louis Cardinals. His grandkids were his favorite people. In death he rejoins his parents, Willard and Grace; and his siblings, Alma Thede, Beatrice Boyd and Fereleen Acton. Left to cherish Dave’s memory are his wife, Marilyn Roberts of Jefferson; children, Craig (Kristin) Roberts of Jefferson, Darin Roberts of Boone and David Roberts of Ogden; grandchildren, Jack Roberts, Carson Roberts, Harvey Roberts, Phillip Roberts, Bane Roberts, Briar Ross Roberts, Ezra Roberts, Jesse Hermansen and Mikayla Wenger; siblings, Ollie Rathje of Perry, Delmar (Carol) Roberts of Marshalltown, Doyle Roberts of Scranton, Gladys (Joe) Taylor of Jefferson and Earl (Pat) Roberts of Scranton.